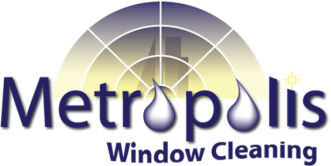 Metropolis Window Cleaning - Residential Window Cleaning - Metropolis Window Cleaning - Serving the greater Denver and Boulder area for all of your window cleaning needs. You’ve paid for the view. Now see it clearly. Metropolis Window Cleaning serves the greater Denver & Boulder area for all of your window cleaning needs. Standard service includes window track cleaning, screen cleaning, and all sills wiped and dried. Our professionals are always courteous and respectful of your property. Selling your home? Clean windows add an extra touch that buyers notice. Metropolis Window Cleaning now offers hard water stain removal. We can also apply a coat of professional glass sealant to prevent future hard water spotting. We are excited to be one of the first window cleaning companies in Colorado to offer pure water window cleaning. Pure water cleaning is the latest technology in window cleaning. Please visit our FAQ&apos;s page for more information. ​Metropolis Window Cleaning is a proud member of the Window Cleaning Network.